Ignore the Parts of the Bible That Got It Wrong! Shortest book in the New Testament is Paul to a slave owner, tells how Christians own people. We ignore this because it's wrong. 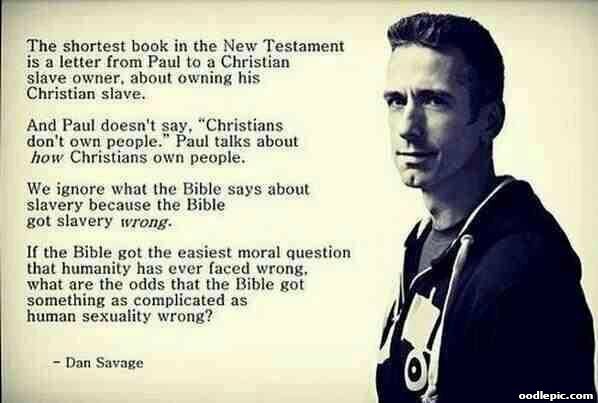 If the Bible got that wrong, bet they got human sexuality wrong.